Life In Color: Color as Evidence of Rising Optimism? 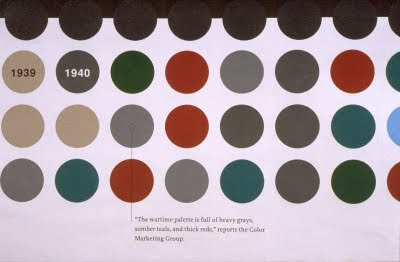 During the Depression of the 30’s, the color palette became dour, dark and subdued. At the end of the Second World War the palette became energized and uplifted by the introduction of pinks, turquoise and minty greens. The earthy grounded colors of harvest gold and avocado of the 50’s and 60’s gave way to the vivid and high contrast psychedelic colors of the 60’s and 70’s. Hippies, drugs, electric guitars energized the palette and the culture. The excesses of the 80’s brought us the Post Modern palette of mauve and grey. The environmental movement ushered in the age of green hues that previously had been relegated to institutional applications. 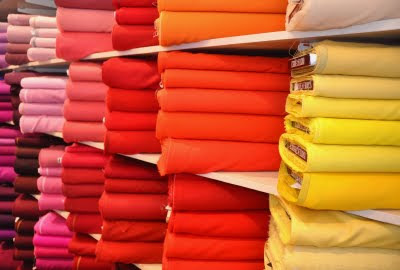 Have you noticed the chromatic intensity of colors in art, graphics, fashion and industry being turned up? 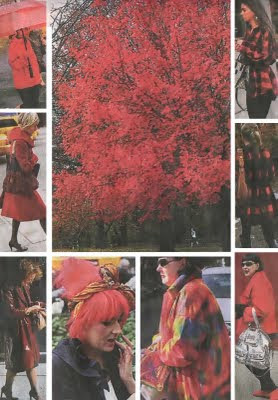 In the New York Times this Sunday Bill Cunningham’s column, On the Street, was titled HUE. The photographs of vivid color found in nature juxtaposed to brightly dressed New Yorkers illustrated the transcendental link to color stimulus and the unconscious. Cunningham starts his narrative referencing the new High Line, the 1.45 mile section of the former elevated freight railroad located on Manhattan’s West side. The architectural team of Diller Scofido + Renfro executed the project with landscape architects James Comer Field Operations. The concept that strolling in nature would enhance New Yorkers mental perspective seems to be taking root. 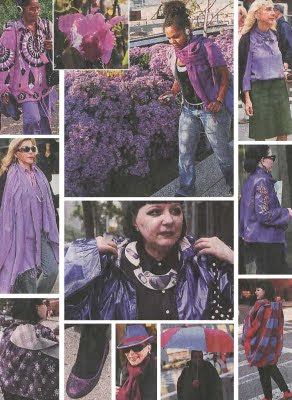 The planting of amethyst daisy chrysanthemums, which have bloomed prolifically this season, is credited with influencing the abundance of purple fashions visible on the street. The color associations assigned to purple emphasize the spiritual and seeking nature of man. Could we be looking for some interior safety in an increasingly stressful world? In Central Park as well as the other green sanctuaries throughout the city, the trees are ablaze in reds and gold’s. 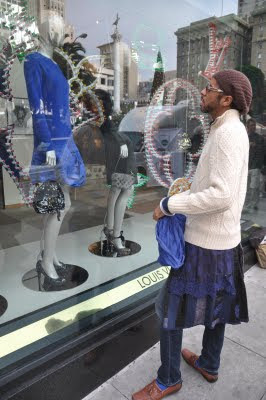 Cunningham states, “On the backs of a few imaginative women in a city known for dressing in black” color is highly visible. Could the grounding qualities associated with reds be assisting these individuals in feeling connected and balanced? Could the mental energies inherent in the gold hues be helpful with focusing ones mind and thinking clearly in chaotic times? Carl Jung stated there is a collective unconscious connection to color in ones environment. Color response is not learned but is part of the hard wiring of the human mind. Could crosscurrents of thought be permeating our choice of colors that we choose to surround ourselves with in our built environment, our wardrobe, and our art? Could optimism be consciously penetrating our culture through the vehicle of color? Could we reframe our thoughts by merely applying a coat of paint to our walls, by purchasing a colorful accessory for our wardrobe, by attending the movie Avatar that is laden with saturated color? I think its possible. Color has the ability to shape behavior and influence experience. Wow, great post! I remember how popular red was during the tech boom when there was so much $$$$ floating around.